How many bicyclists and pedestrians are injured and killed in Missouri? Is the number of bicycle and pedestrian injuries and fatalities in Missouri going up or down over time? Where in Missouri are the most/least amounts of bicycle and pedestrian injuries, as absolute numbers or as rates? Below is the information you need to answer these questions--the best sources of injury and fatality data for Missouri bicyclists and pedestrians. If you are just interested in the answers--and not in how to find the answers--you can see recent summaries of the STARS data here, the InjuryMICA data here, a breakdown of pedestrian injury data by city and county here, many more Missouri bike/ped stats here. Law enforcement agencies keep data about motor vehicle-related injuries on Missouri roads and highways. The statewide data is collected in a system known as STARS (Statewide Traffic Statewide Traffic Accident Records System). Similar data from all states is collected into a federal database known as FARS (Fatality Analysis Reporting System). 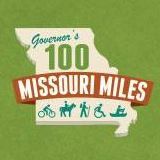 An excellent and useful compilation of a decade's worth of pedestrian data in Missouri from the STARS system is available from Transportation for America. A decade's worth of pedestrian injury data is compiled, and useful breakdowns by city and county are shown. The most useful and complete set of injury data for Missouri bicyclists and pedestrians in the DHSS's InjuryMICA. InjuryMICA contains a lot of great data, but it is not always easy to find and download the bicycle/pedestrian-related data that you need. - Select "Motor Vehicle Traffic"
- Select "All injury location"
- A chart appears, click "Motor Vehicle Traffic". Click "Rotate" if you like. - Another chart appears that includes the breakdown by pedestrian, bicyclist, etc. This shows the number and rate per 100,000 of pedestrians and bicyclists injured in collisions with motor vehicles on the road. Click download to get the data as a CSV file you can load in Excel file. - Select "Motor Vehicle-Non Traffic"
- A chart appears, click "Motor Vehicle-Non Traffic"
1. Pedestrian: Non-traffic: Pedestrian injured off the road--a driveway, parking lot, unpaved road, etc.--but still involving a motor vehicle. For instance, children injured by a car in their own driveway. 2. Bicyclist: Non-traffic: Same as above, but for bicyclists. 3. Pedestrian: Non-motor vehicle: A pedestrian fell or ran into something and was injured without any involvement from a motor vehicle. This could be on the road, sidewalk, trail, or elsewhere. The Federal Highway Administration estimates that 25%-50% of these injuries happen off-road and the remaining 50-75% happen on-road. The Department of Health and Senior Services' InjuryMICA Documentation Page has a technical explanation of the different bicycle/pedestrian injury categories--these four categories plus the two we found under "Motor Vehicle Traffic"--under the heading "Motor Vehicle Crashes". Note: For most purposes, whether a pedestrian or bicycle injury happens on the road or on a trail (ie, "on-road" or "off-road") is irrelevant. We want to reduce these injuries and fatalities wherever they occur. However, for some purposes--such as federal safety grants, for which only injuries and fatalities occuring on-road are eligible--a calculation of how many injuries occur on-road vs off-road becomes important. » Next story: New $8 billion Missouri transportation funding bill: Bike, ped, mass transit to make Missouri Constitution?